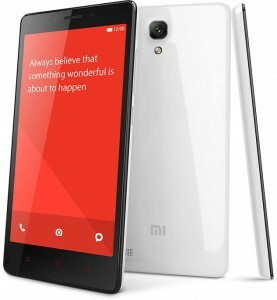 Xiaomi has officially launched their new smartphone “Redmi Note Prime” for the Indian Market. Redmi Note Prime is the second phone to be manufactured and developed fully made in India. This Mi product will be available on Amazon.in for Rs.8,499 and Mi.com from today (15, december 2015). It is said, Redmi Note Prime is an enhanced version of Redmi Note 4G with the feature of 2GB RAM, 16GB internal storage which can be expanded upto 32GB and 410 64-bit snapdragon processor. It also comes with 5.5-inch IPS display with the resolution of 1280*720 and packs 13MP f/2.4 primary camera and 5MP f/2.2 front selfie shooter camera. It sports Dual SIM, runs on Android v4.4 and other features offered by Redmi Note Prime includes Bluetooth 4.0, dual band WiFi, USB, dual microphone and Lithium-ion Polymer battery of 3100 mAh.